There was the interviewee who forgot what job he was applying for. The one who interrupted the interviewer to answer her cell phone … then proceeded to discuss where she and her sweetie would be having dinner. And the one who said he wouldn’t want the position if it meant having to work hard. Yeah, we know this might not be you. Examples like these are good for a laugh, but not much use to the vast majority of job seekers who have basic common sense. So today, we’re going to talk about 7 blunders that many intelligent people do fall into. 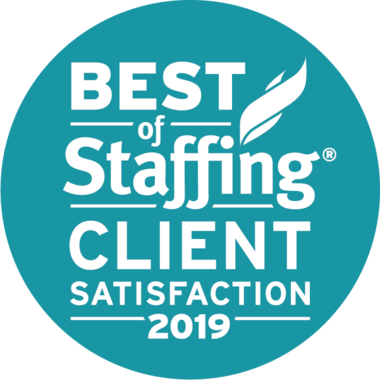 We’ve seen them over and over during the thousands of interviews we at Integrity Staffing Solutions conduct every year. Bringing inappropriate things with you. This ranges from food, drink, chewing gum and swear words to your dog and the infamous cell phone (turn it off or, even better, leave it in the car). Bring yourself, your resume and your references, and that’s it. Not researching the company beforehand. If your interviewer is wearing khakis and you show up in a traditional business suit (or vice versa), it’s a big red flag that you won’t be a good fit with the corporate culture. You should also be prepared with at least 5 knowledgeable comments about the company. Yes, they’ll want to know about your previous achievements. But frame your answers in a way that stresses your contribution to the team’s efforts and successes. Focus on how you will benefit their company, not how working for them will benefit you (as if they care). Giving stock answers to “trick” questions. Almost every interviewer asks, “What is your weakness?” Nine times out of ten, the answer comes back, “Being a perfectionist.” (Which, of course, is just dodging the question with something that isn’t even really a weakness.) A better answer would be a trait you honestly need to improve, and how you are working on it. Trashing your previous employer or colleagues. No matter how bad the situation was, leave the venting at home: you’ll only make the interviewer wonder how you’ll be talking about them someday. If you are asked why you left that job, mention a challenge you encountered and how you dealt with it or learned from it. Trying to fake it ’til you make it. If you don’t know the answer to a question designed to gauge your level of expertise, just say so. You’ll only make a worse impression if you try to BS or make random statements that don’t answer what was asked. At some point you’ll be asked, “Any questions?” If you say no, they’ll think you’re not all that interested in working there. Be prepared with some thoughtful questions about the team you’d be working with, the company’s strategy, what you might expect your future to be, etc. An interview isn’t just for presenting your job qualifications. It’s about showing them that your personality, enthusiasm and integrity will be a positive asset to their company. 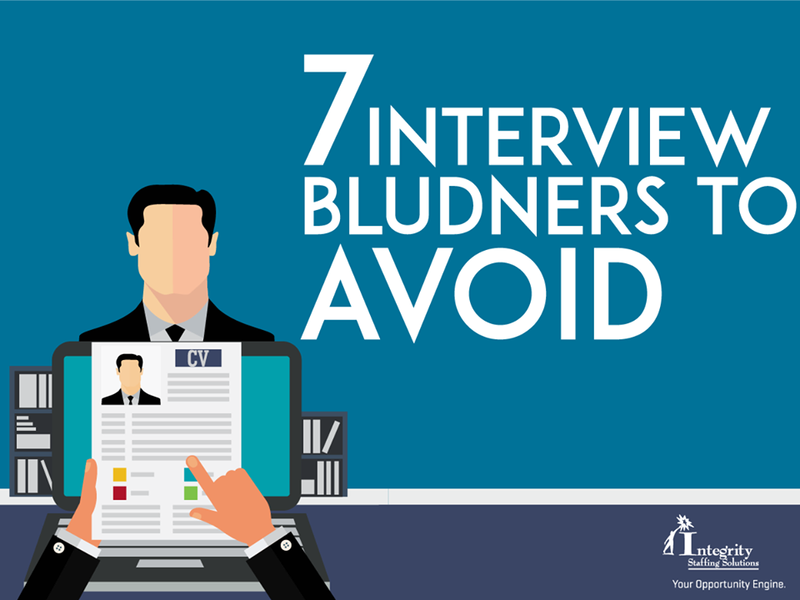 Avoiding these 7 blunders will help you put your best foot forward when you’re face to face with your next potential employer.